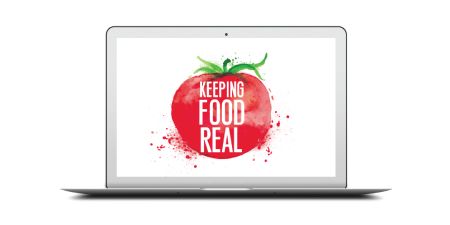 Keeping Food Real aims to support the citizens and communities of the Elk Valley in growing their own food by providing online cold climate educational resources that support both novice and intermediate gardeners. Wildsight gratefully acknowledges the financial support of the province of British Columbia through the Ministry of Agriculture. and harvesting your garden with support, enjoyment & know-how. under the guidance of experienced cold climate gardeners. Learn how to help your cold climate garden thrive. Learn on your own schedule. It’s a gardening workshop in the comfort of your own home. Gain access to awesome eLearning resources designed to help you succeed. Take your gardening expertise to a new level. Keeping Food Real has been educating gardeners since 2008, as a project of the Wildsight Elk Valley Branch. Working to help more people grow more food, the Keeping Food Real program has educated hundreds of adult learners to create thriving cold climate gardens. Elk Valley residents will be growing more local food in 2017 as the Wildsight Elk Valley branch begin their “Keeping Food Real” project. This project is a result of their successful application to the B.C. government’s Grow Local Program for $25,000. The two-year “Keeping Food Real” initiative aims to support the citizens and communities of the Elk Valley in growing their own food by providing online cold climate educational resources and hands-on practical workshops that support both novice and intermediate gardeners. The Wildsight Elk Valley Branch will be working with the College of the Rockies, Spruce Spring Stream Farms, District of Sparwood, Elkford Community Garden and the City of Fernie in the project and to increase food production in the Elk Valley. strengthen local food supply security. The 10 projects include the developing resources on how to grow local food, group education and awareness activities, such as workshops, mini-courses, and “how-to” demonstrations, and one-on-one consultation and advice. The application process was administered by the Investment Agriculture Foundation of BC. The BC Agrifoods and Seafood Strategic Growth Plan identifies the next steps in the B.C. government’s goal to grow the B.C. agrifoods industry to a $15-billion-dollar-a-year sector by 2020. Grow Local BC will assist in maintaining food supply security, a challenge identified in the strategic growth plan.